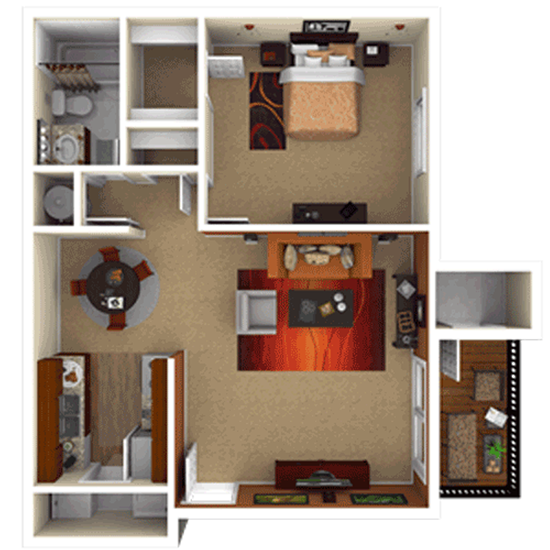 Ashton apartments can be furnished upon request. Please speak to a leasing specialist for furniture and appliance rental information. Ashton Woods offers a variety of custom appointments - including crown molding, upgraded kitchens and built-in microwaves. Whether the 750 square foot "Aspen" or the 1365 square foot "Oak" is the floor plan for you, Ashton Woods has many choices for today's renter. We provide all the essentials. This floorplan has a cozy layout. It includes a private balcony or patio off the living area and bedroom. Call today for your new home! 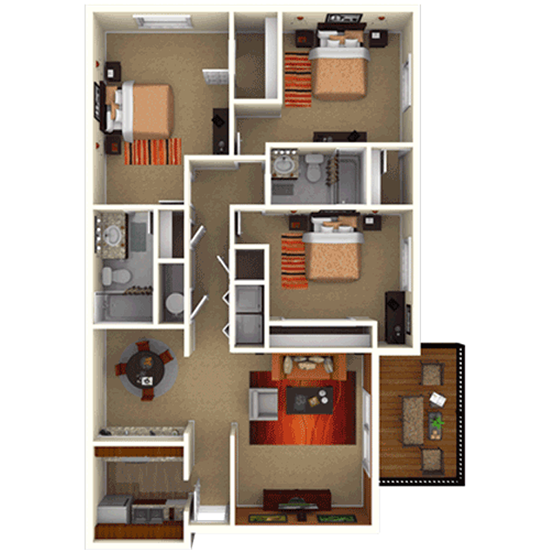 This floorplan also has a cozy layout. It includes lost of storage as well as a private balcony or patio off the living area. Call today for your new home! 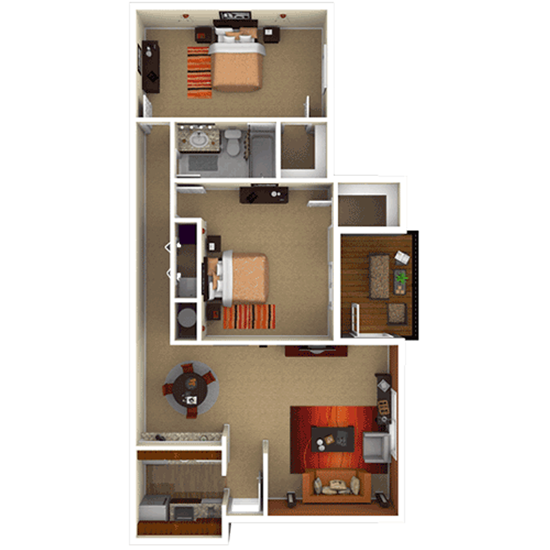 This floorplan has a nice layout including two good-sized bedrooms with plenty of closet space and large living and dining area. It includes a private balcony or patio off the living area. Call today for your new home! 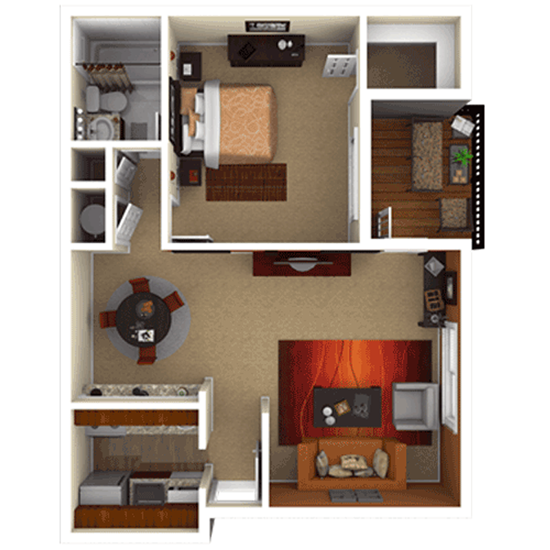 This floorplan has a nice layout including two good-sized bedrooms with plenty of closet space and large living and dining area. It includes a private balcony or patio off the living area and master bedroom. Call today for your new home! 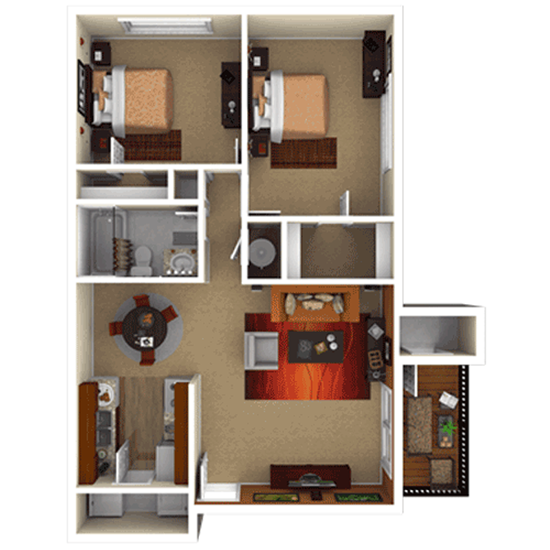 This floorplan has a great layout including three good-sized bedrooms with plenty of closet space and large living and dining area. It includes a private balcony or patio off the living area. Call today for your new home!